Are you in the right frequency? How is it that some people can make money without even trying and others stay broke no matter what they try? Is there more to becoming rich than just wanting to have money? Douglas Vermeeren thinks so. You may remember Vermeeren as the producer of the film The Opus, which featured many of the stars from the hit movie The Secret. In the film The Secret, the teachers of the film suggest that by implementing something called the Law of Attraction that anyone, anywhere can achieve the dreams and live the live that they really deserve. The premise behind the Law of Attraction is that anything we think, feel and value strongly enough will ultimately allow us to create those wishes as reality in our lives. There are many people who subscribe to the law of attraction including Douglas Vermeeren. 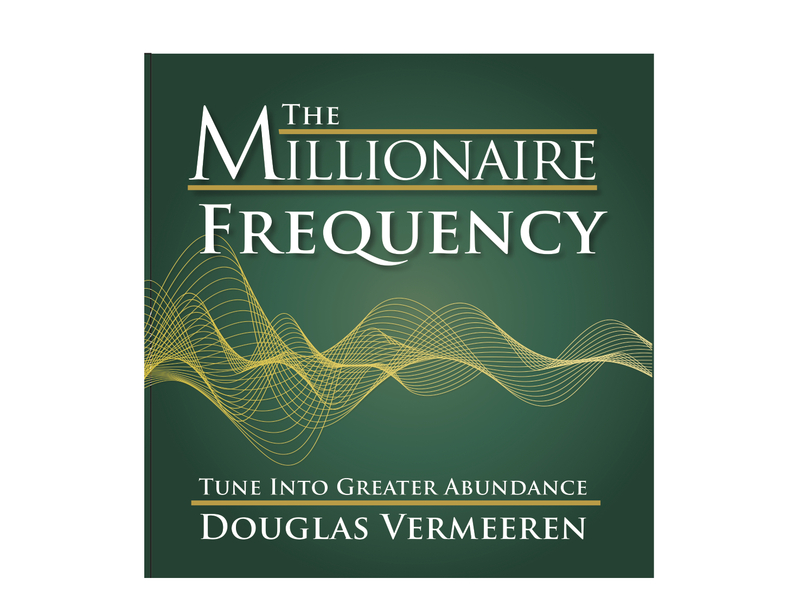 In his newest program called The Millionaire Frequency, he suggests that there is a frequency in our thinking and our feelings that can create greater financial abundance in our lives. According to Vermeeren, most people are not in tune with the vibration of abundance and that is why they are often without. He contends that all millionaires, billionaires and high net worth individuals are in tune with this frequency – even if they don’t know it. So how can you learn this frequency? It is available in an audio program that provides the affirmations and affirmactions, a term Vermeeren came up with to describe a style of his teaching that partners affirmations with actions that you can take. These affirmations and affirmactions are calculated to get you on the right track, and more importantly in the right frequency of wealth and abundance. And as you get into that frequency, your thinking will change, your actions will change and ultimately your results will change. 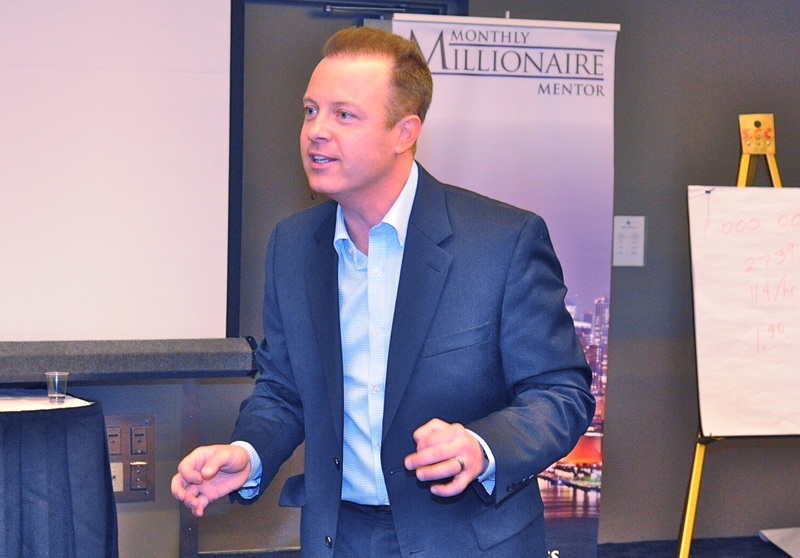 This CD is now available on http://www.DouglasVermeeren.com http://www.TheMonthlyMillionaireMentor.com and of course, Amazon. When is a good time to start managing your money better? Right now of course! This was the message that students and faculty heard at the annual student Business conference from Millionaire mentor, Douglas Vermeeren. 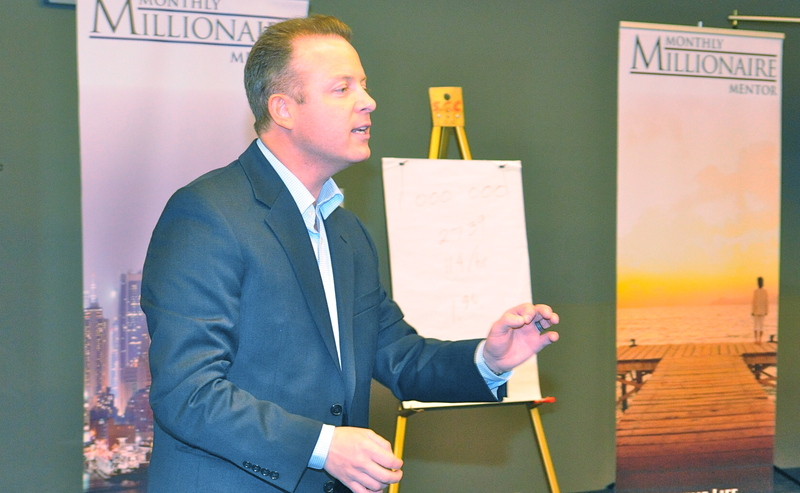 Vermeeren is the CEO of the Monthly Millionaire Mentor program and he shared with students insights on how they can start preparing for an abundant financial future. Some of the message included finding a proper mentor to learn from, how to find and evaluate better opportunities to grow financially and lastly where you can find additional support. In addition, Vermeeren talked about some of the pitfalls that many people are slipping into that are creating financially difficult circumstances and how the students can avoid these pitfalls in the future. Some of these pitfalls include misconceptions that many people have today about debt, savings strategies and balancing a checkbook. Overall this was an eventful, educational and highly energetic presentation that left the student much better equipped to create the financial goals they are targeting.